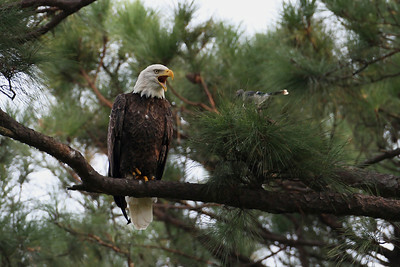 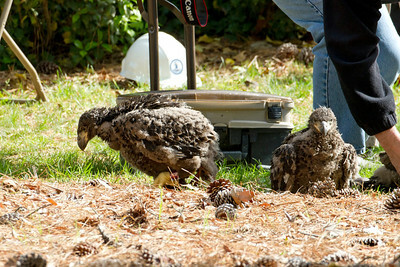 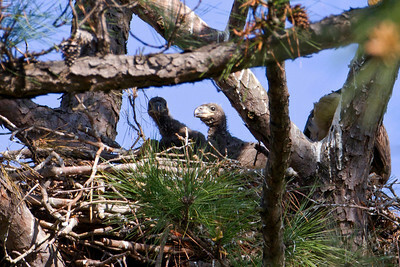 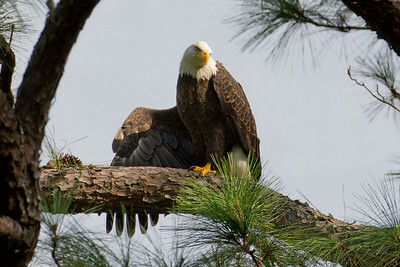 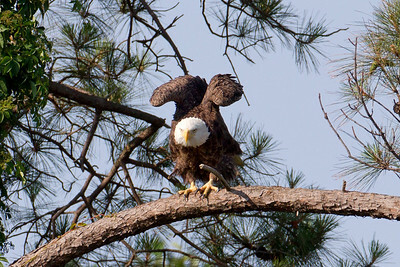 The newly banded eaglets at Norfolk Botanical Gardens - April 21. 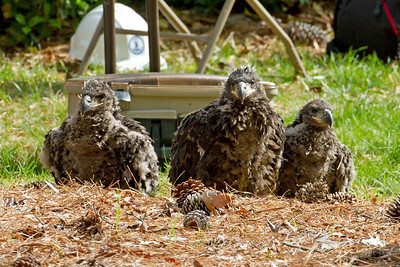 Two on left are females. 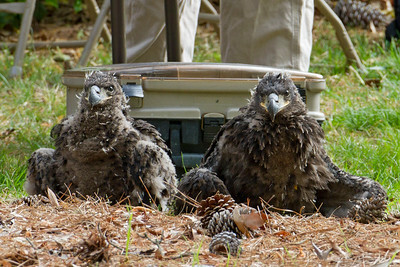 I believe their tag IDS from left to right are: NX, NZ & NV. 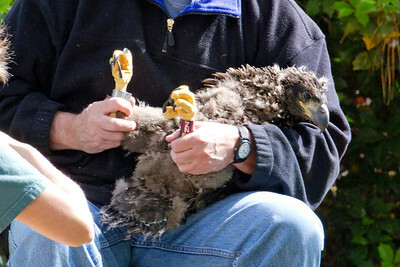 Siblings waiting their turn to be banded. 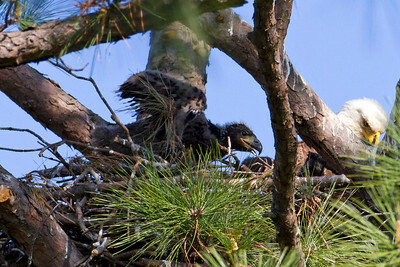 Eaglet band ID "NX" tries to make a break for it. 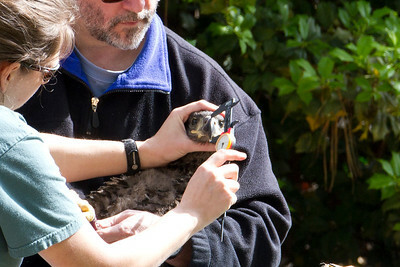 She didn't get far. 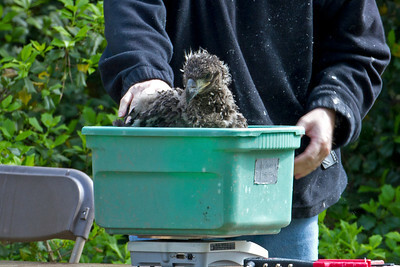 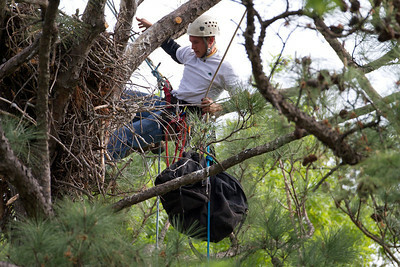 One of the eaglets being lowered from the nest for banding. 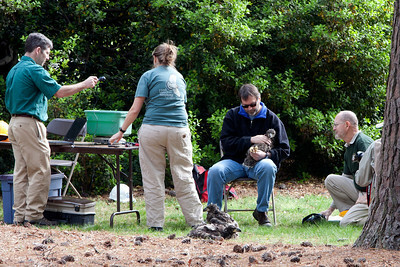 The banding team at work. 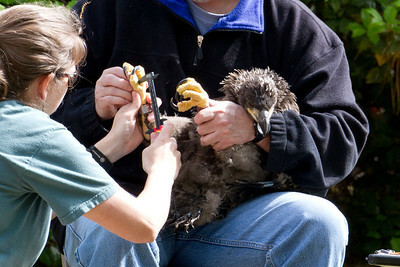 They placed two bands on each eaglet, weighed, measuered and took a small blood sample of each bird. 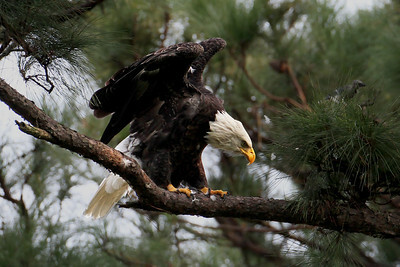 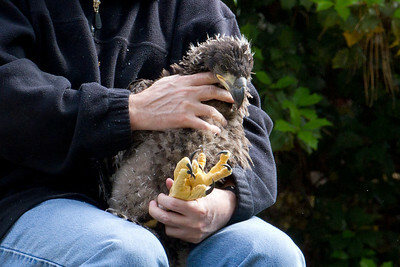 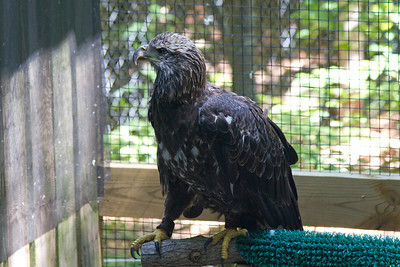 The largest of the eaglets shows off her bands. 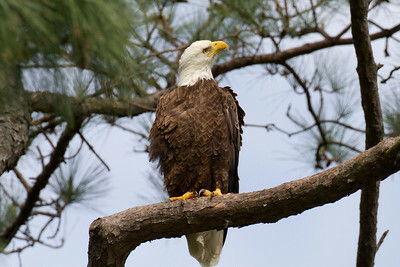 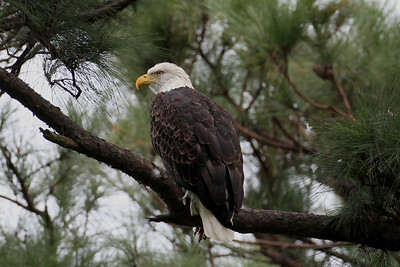 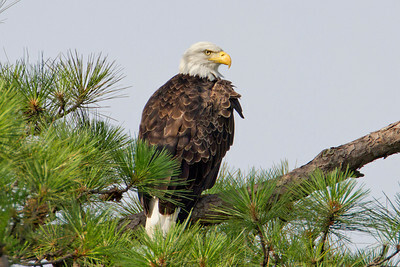 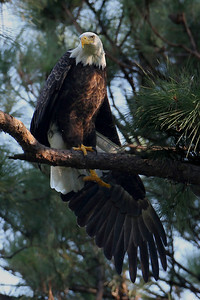 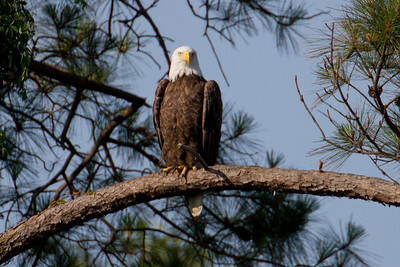 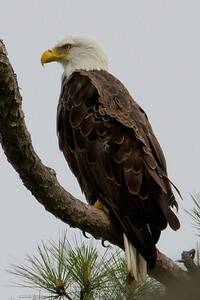 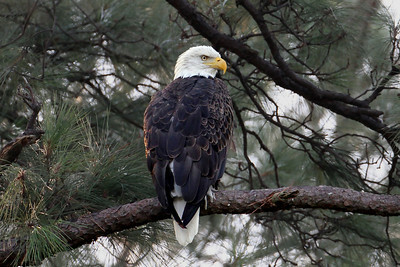 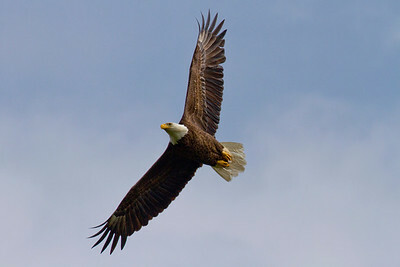 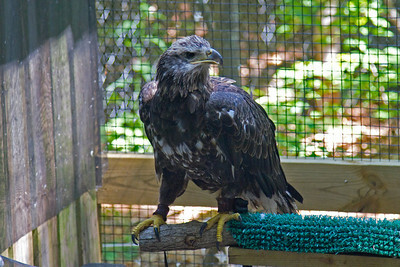 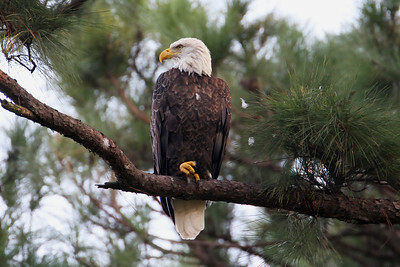 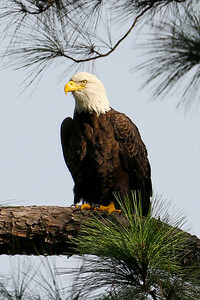 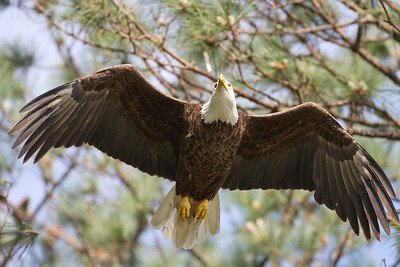 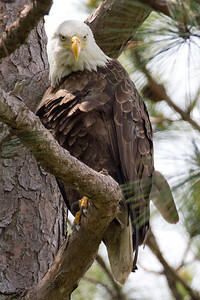 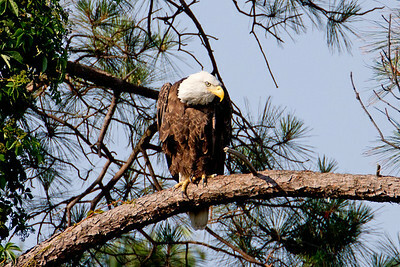 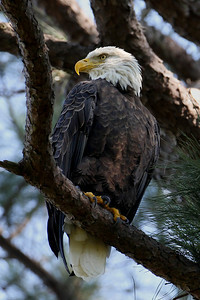 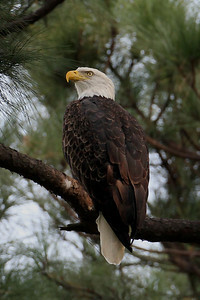 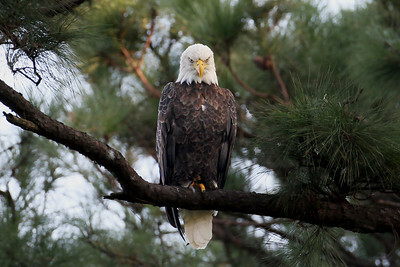 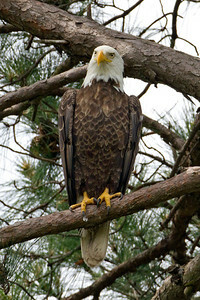 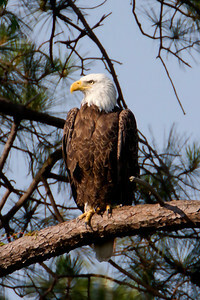 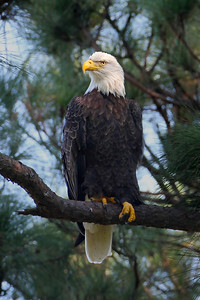 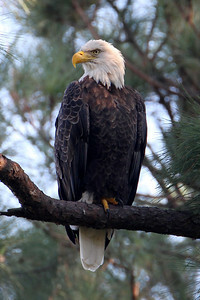 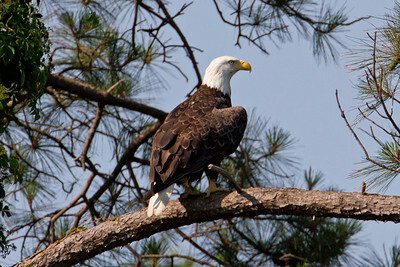 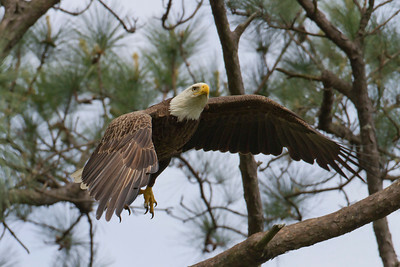 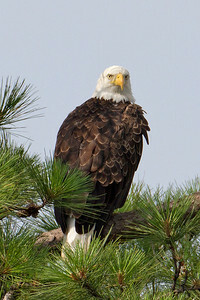 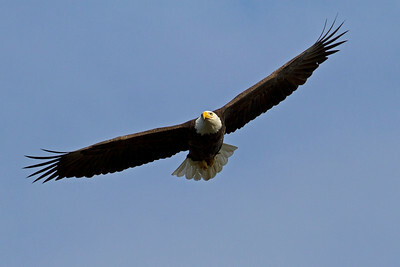 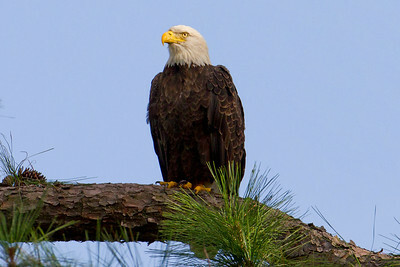 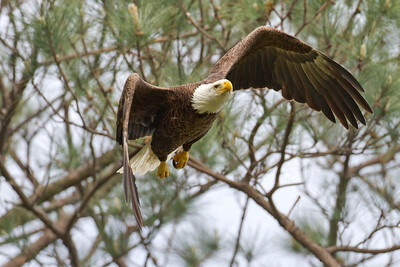 Eagles banded in the Chesapeake Bay area are fitted with purple colored 2 lettered bands for quick ID. 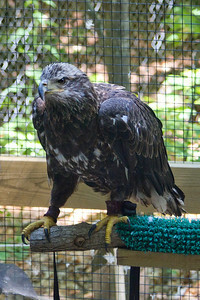 In addition thay have a metal band with more detailed information. 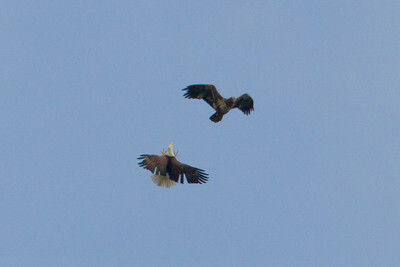 Band IDs for these eagles are NV, NX & NZ. 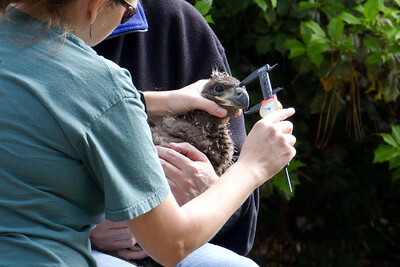 "NX" (female) has her beak measured. 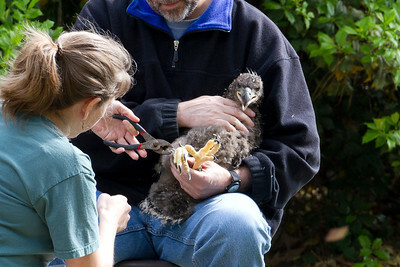 "NZ" having her beak measured.